This topic has 2 voices, contains 1 reply, and was last updated by Gilligan 286 days ago. 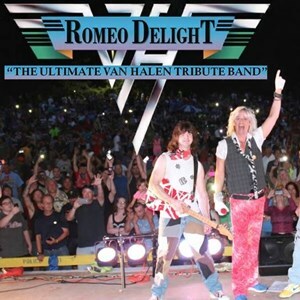 Ladies and gentlemen…don’t miss the concert event of the summer: ROMEO DELIGHT – the Ultimate Van Halen Tribute Band will be headlining a FREE show at Pennypack Park in Philadelphia, PA on July 18 at 7 pm. Be there! Wish I could be there! Last VH tribute band I saw was Hot For Teacher and that was too many years ago. And they weren’t that great. Good, but not great.